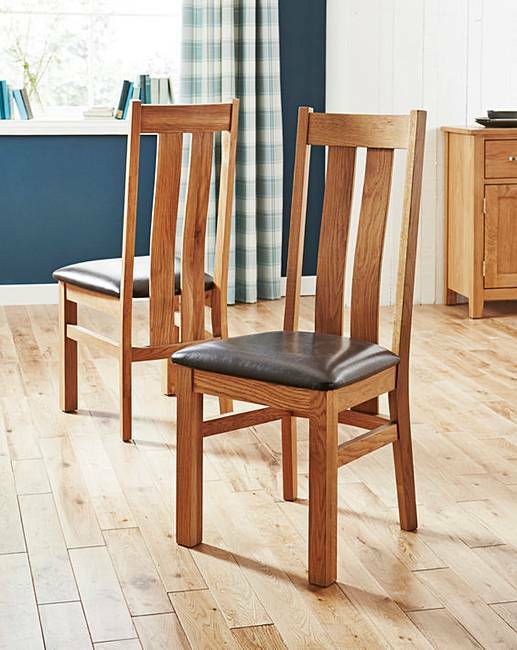 These Chester pair of dining chairs are crafted from solid oak and oak veneer with an oiled finish and upholstered in a brown faux leather. This product is part of our plus size living range and has been carefully selected to provide additional strength and durability making these chairs a stylish yet practical option. Co-ordinate with the Buxton Oak and Oak Veneer dining table. Chair maximum user weight of 25st/160kg per person. Measures (H) 103 x (W) 45 x (D) 48cm approx.